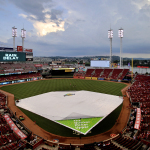 CINCINNATI--(BUSINESS WIRE)--The Cincinnati Reds rolled out a new official baseball field tarp on Friday, July 21, 2017 at Great American Ball Park, in partnership with Bounty, the Quicker Picker Upper. 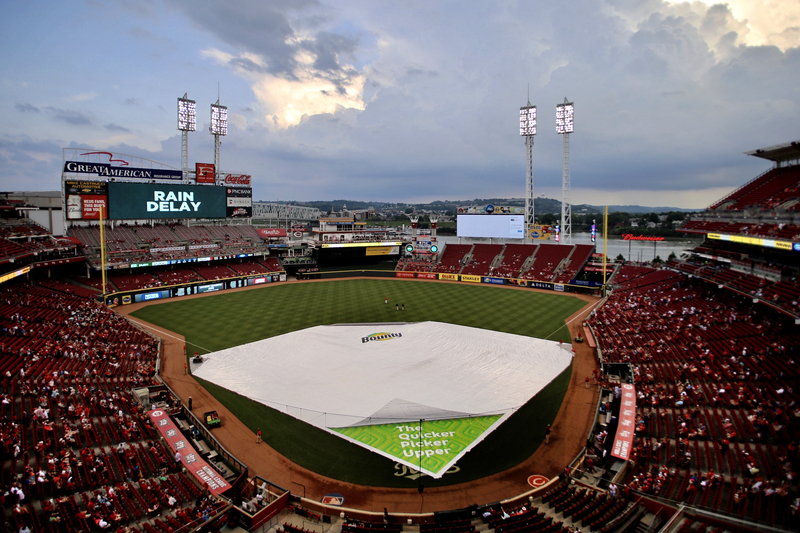 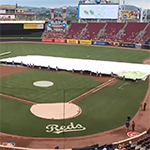 The tarp will help the Reds quickly tackle their biggest spills of the season – rain showers – and is a glowing testament to P&G’s longstanding, successful partnership with the team. The old Cincinnati Reds tarp will be donated to Western Hills University High School’s baseball team. 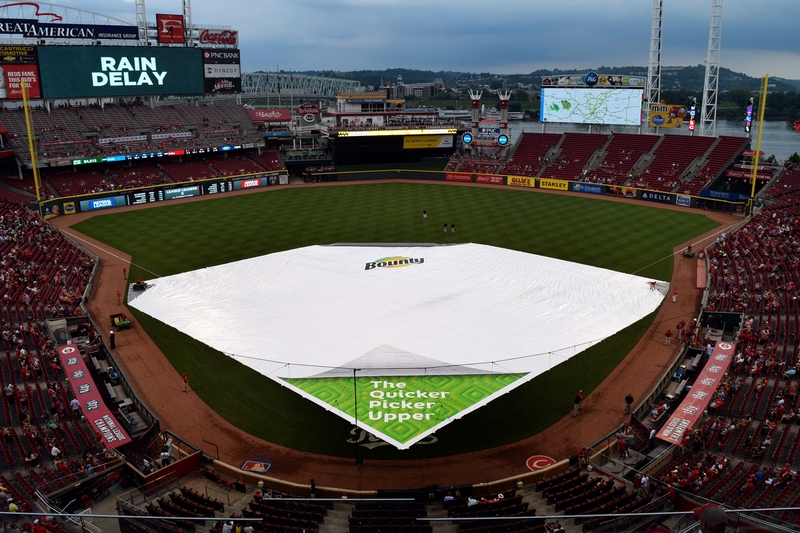 “Bounty is the first to sponsor a new tarp for the Reds,” said Bill Reinberger, Reds Vice President of Corporate Partnerships. 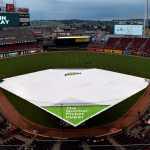 “We applaud their creativity with the new tarp, and are grateful for allowing us to donate our old tarp to Western Hills University High School,” he added. 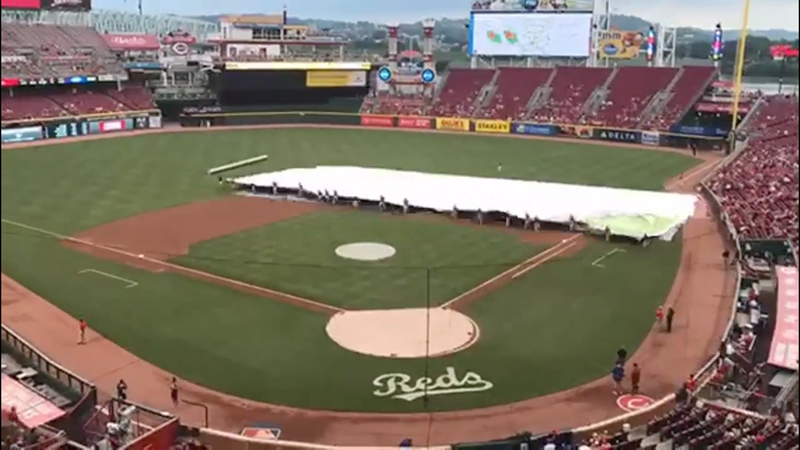 Time-lapse rollout of new Bounty infield rain tarp at Great American Ball Park.